The first and the foremost point of which was the Charkha Yojna (the spinning wheel project). If we take a look at our past, the Charkha had created history during India’s freedom struggle. The threads of its yarn had united the entire nation and tied the communities closely. Moreover, Mahatma Gandhi had used the Charkha as a weapon against the British. He rebuffed the clothes imported from Britain, by harboring the weapon used for weaving the ‘Swadeshi‘ (Indigenously created) cloth. It was an extensive conflict against foreign goods because long before the British invasion, the clothes would be manufactured from the cotton produced in the Indian homeland. Its yarn would be spun in the households on the charkha. However, the British destroyed the in-house clothing trade and began buying cotton from India as a raw material, manufactured clothes and then had the clothes imported back into India. Mahatma Gandhi evoked a sense of self-respect in every Indian by bearing the charkha as a weapon against the British to create Swadeshi goods for use in daily life. On 3rd of October 2002, Sadguru Shree Aniruddha announced the 13 Point Programme. Although food, clothing and shelter are the basic human needs, millions of Indians are deprived of it even today. Through the Charkha Yojna, shraddhavans, either purchase the charkha themselves or the organisation does it for them or they visit the nearest Upasana Centre to spin the yarn. Additionally, they also buy the sliver required for the charkha. Moreover, the Shraddhavans, who are unable to use the Charkha, either donate the sliver needed for it or the charkha itself. After that, the organisation produces cloth from the spun yarn. 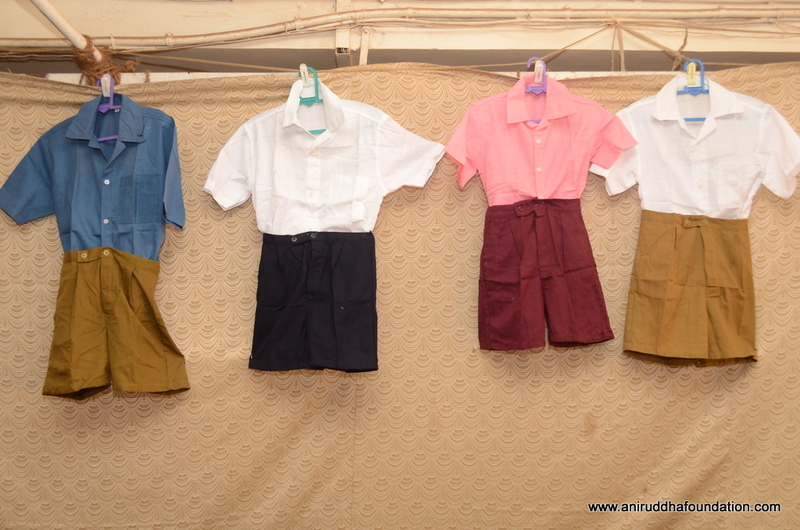 School uniforms are then stitched from the fabric and distributed amongst the underprivileged children. The Shraddhavans spin the yarn at their homes as well as per their convenience. 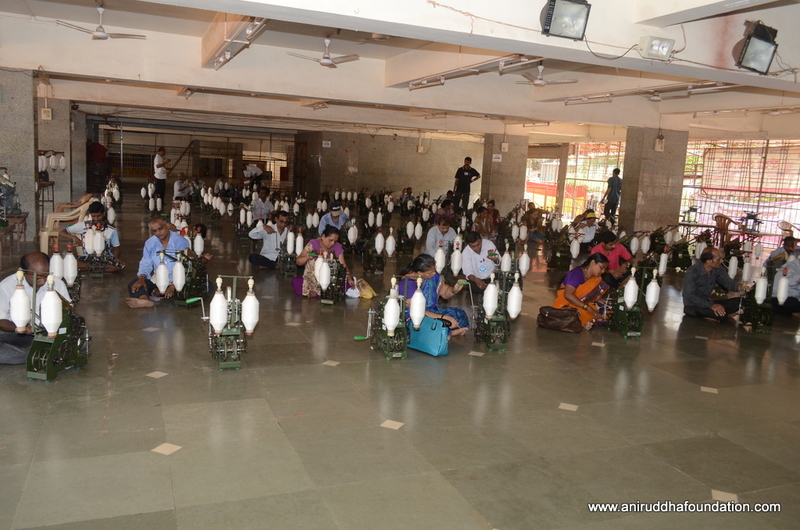 The organisation even arranges for a Charkha Camp at several Upasana Centres simultaneously. Spirituality is the foundation for every project the organisation undertakes. Shraddhavans chant the mantra Sadguru Shree Aniruddha has designated for chanting while spinning the Charkha. It enables the transformation of the physical efforts put in while spinning the charkha into seva (a devotional service). The yarn thus spun with such sincere efforts is then used for producing the cloth. The fellow citizens of our nation, the hard-working labour class which are underprivileged and destitute, are in dire need of such clothes. 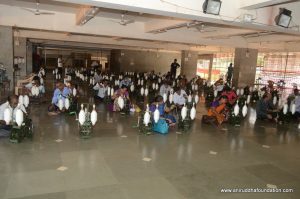 By spinning the charkha, Shraddhavans perform the Shram-Daan (offering hard efforts), and since they chant the name of God by way of naamsmaran, their seva gets automatically offered at the feet of the Parameshwar. In 2010, Bapu had explained the spiritual significance of chanting God’s name while spinning the charka in detail in his Agralekh (editorial), ‘The Hands of Shreekrishna’ featured in the Dainik Pratyaksha. Bapu says, “The intellect reigns control over our mind as we watch the cotton(from the sliver) transform into the thread constantly when we spin the charkha handle. The underlying reason behind this is that the Karmaindriya (sensory organs viz. hands) continuously inspires the intellect as the finely produced thread and its delicateness is absorbed through the vision being the Nnyanindriya and expands the sphere of creativity of the mind. Moreover, if a person chants God’s name while performing the activity, the mind gains tremendous momentum for its transformation into the Chitta (mind or its state that aligns with the divine resolve), which is essential for destroying the ill-fate of human beings”. 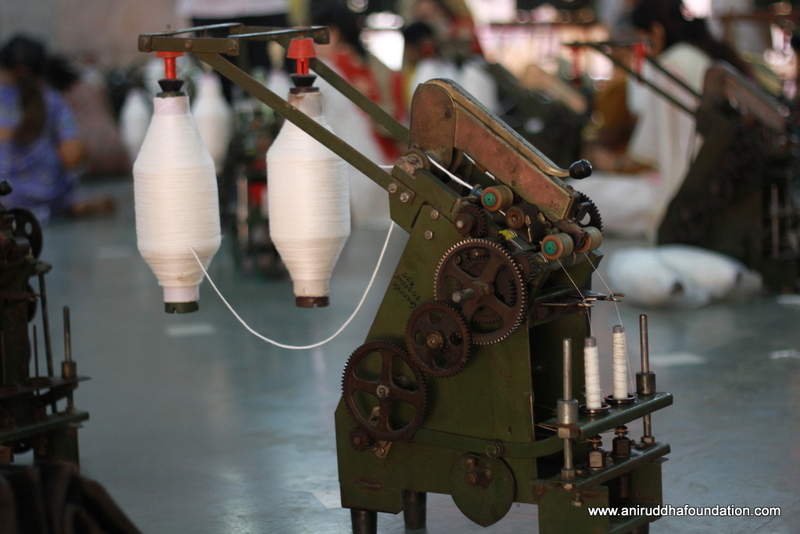 Every year, about 45 to 50 thousand meters of cloth is produced through the Charkha Yojna. After that, uniforms of different sizes are stitched from the cloth, and the organisation bears the expense for it. 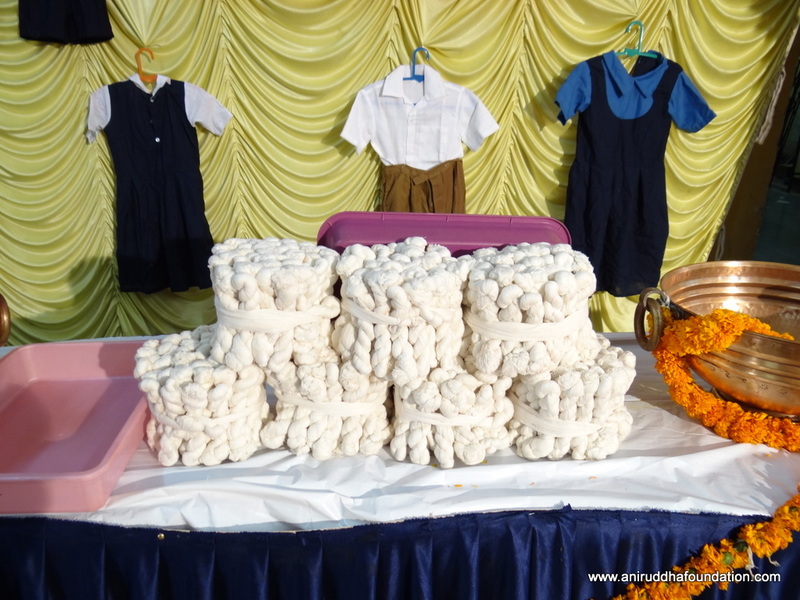 So far, about 467458 Meter cloth has been produced of which 1,08,128 uniforms were distributed under the initiative. Before commencing any campaign, the organisation conducts a thorough survey in the area and then confirms the project as per the requirements of the residents. Such surveys have often brought to light the low attendance of students in schools from remote villages. Albeit, in places where the problems of food and clothing are acute, it is only natural that schooling and education would be neglected. Since 2004, the organisation has held the Kolhapur Medical and Healthcare Camp every year in the financially underdeveloped regions of Kolhapur. School uniforms are distributed to the students in the local schools from the nearby villages. The Charkha Project is a small effort towards eradicating the acute shortage of clothing. If such an endeavour assumes a massive scale in India, perhaps no one would be deprived of the basic necessity of clothing in the country.